Sign up today for Outdoor Skills School Map & Compass 101 and Excursion. Save $10 by signing up for both the 101 and the Excursion...It is highly recommended you attend both of the dates. Outdoor Skills School Map & Compass 101 will help you learn to translate the two-dimensional topographical map to the three-dimensional terrain surrounding you. 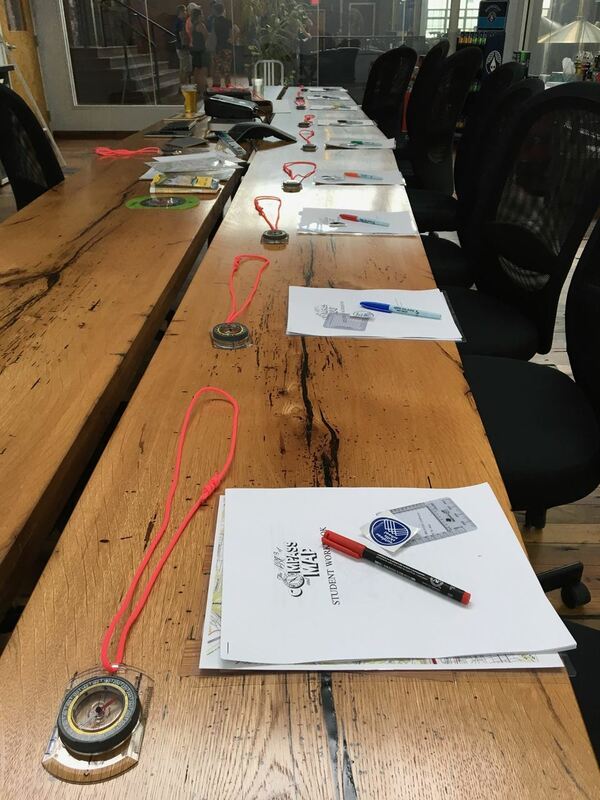 During this classroom session, essential map reading skills will begin as the groundwork, followed by an introduction to the compass, by the end you'll be using these two tools together. By the end of this class you will have the foundational knowledge to put these skills to use on Saturday morning. Weather permitting we'll go up to the rooftop of Rhinegeist and practice Triangulation at the end of the class! This indoor portion of the class will be taught at Rhinegeist Brewery in the private conference room that overlooks the Brew House. Meet in the Taproom near the Water Buffalo & we'll head back to the conference room. There is a small parking lot across the street from the brewery, parking on the street as well as additional parking at the nearby Findlay Market. will be held at McFarlan Woods on April 21. See our calendar event more for info. Sign up for both for only $50!